What're You Talking About, Berkeley? University asking students to send in their voices for an internet study. 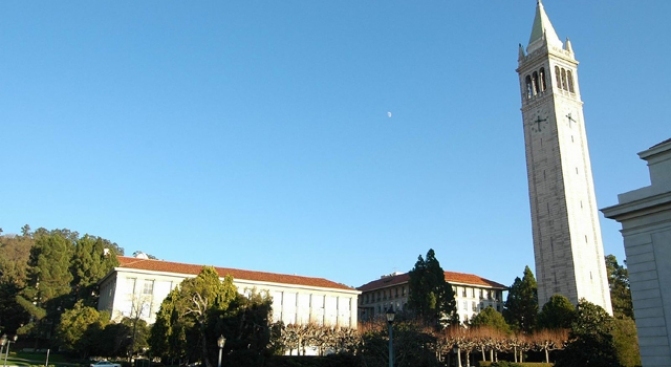 UC Berkeley is making an interesting request of new students: send us your voice. The university is asking students to submit their voices and accents, according to the LA Times. Berkeley wants to focus on linguistic diversity and the cultural, scientific and psychological aspects of language. It is an internet experiment that will map and match accents from around the state and around the world. Berkeley faculty say with more than 30% of incoming freshman claiming a language other than English as their first language, it is a good way to make students feel comfortable. After two years (and maybe after four), the university will ask the same students to make new recordings. Researchers want to see if being at school homogenized their accents. Among the sentences students are asked to record, "Go Bears!" and "She had your dark suit in greasy wash water all year." The project is called "Voices of Berkeley." So far about 300 of the university's 5,800 incoming students have participated. This project is less controversial than last years, when students were asked to send in saliva samples for DNA testing for three dietary traits.